We spoke with Mark Stephenson, of Vermont Energy Contracting & Supply, who agreed the advances in technology have paved the way for cool, inexpensive consumer products for your home. "Many of these smart products have come down in price to be affordable for the average homeowner and offer conveniences that we have grown to expect with our expanded use of wireless and Bluetooth in our daily lives," says Mark, "When it comes to mechanical systems like heating, electricity, and efficiency savings by using devices like Nest Thermostats, it's important to consult with a professional electrician or technician to make sure these products will truly improve the performance of your home." Find yourself constantly looking for a USB charger for your phone or tablet? And does it seem like the nearest outlet is always occupied? New in 2015, outlet cover plates by Snap Power are so practical and simple, you'll wonder why you've never seen this before. The product integrates a USB charging port to the bottom of a standard outlet cover, conveniently providing a charging port while leaving the outlets open for other uses. As easy to install as changing an outlet cover face plate, it's energy efficient, and safe. Available in three neutral tones. There are a ton of bluetooth speakers on the market today, but do any double as a lightbulb and a dimmable one at that? 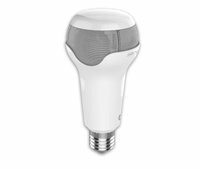 Another first of its kind product from Sengled, the Pulse-Solo system combines energy efficient LED lightbulbs and bluetooth audio. Now your music can be pumped from your lights and we think it sounds pretty good. That's because the high quality speakers are JBL-Harmon made and you have the option of connecting up to eight lights to the system. An add-on adapter also gives you the ability to easily integrate any subwoofer speaker unit you already own. With the Pulse app, you control volume and lights. Available in three colors. Not a particularly exciting gift idea, but definitely a practical one and great for a new homeowner, the Protect smoke and carbon monoxide detector by Nest has received rave reviews. The smart alarm provides voice alerts when there is cause for alarm and will tell you the exact location of the smoke/CO in your home. With the Nest app, you'll receive custom alerts on your phone, including low-battery and sensor failure notifications. You'll also have the ability to silence it from your phone, a nice feature for those false alarms when cooking in the kitchen. Guaranteed for a decade. Easy to install. iOS and Android. Available in two colors. No more duplicating house keys or leaving one under the welcome mat. 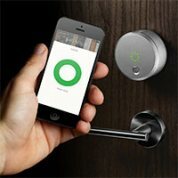 With the August Smart Lock, now you can grant home access to expected guests or service providers from your phone or smartwatch. Using the app, you can create custom virtual keys for each visitor and grant entry for any length of time, whether it be for weeks or minutes. You'll receive phone notifications identifying each visitor as they come and go. This smart electronic lock will unlock when you approach and automatically locks behind you. Together with the aforementioned August Doorbell Cam, you can even unlock (and re-lock) the door from your app if an unscheduled visitor needs access. iOS and Android, Apple Watch. Available in four colors. As costs drop, many Vermont homeowners are outfitting their homes with camera systems to feel more secure when they are away. You may have watched last year's viral video uploaded by a Grand Isle County homeowner. His home was burglarized and he captured the break-in on video with his security camera system. With the help of friends on Facebook, the burglars were identified and his stolen items were recovered. 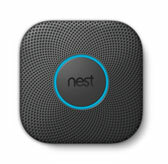 You can own the same system, now distributed by Nest and called Nest Cam. These tiny cameras send you phone notifications when motion or noise is detected in your home. As long as your cameras are on, the video is being securely streamed to your cloud account and you can view anytime from your phone, tablet or computer. The camera's two way speaker also allows you to hear what's going on and speak to anyone in the room if needed.